Ph.D.( 1979) university of veterinary medicine, Brno, Czech Republic , general specialist �Veterinary Hygiene, a special specialist , Hygiene and quality control of food , my thesis ( some indicators of biological values of selected products of chicken meat and eggs , B,Sc veterinary Medicine , university of Baghdad , veterinary college ( 1972).from 1973-1974 ,veterinary doctor in company of animal production ,Baghdad. Year 1979- 1980 �lecturer in department of food hygiene in veterinary university of Brno �Czech Republic. 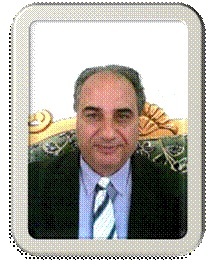 Year 1980-1982, Lecturer in Education college , Biological department, university of Qaryounis , Beida,Libya, year 1982-1987, Lecturer in the Natural science institute , university of Mostaganim, Algeria.year 1987- 1989, Lecture in the Natural science institute , university of Oran-Algeria, year 1989-1991 Assistant professor in the natural science institute , university of Oran- Algeria .from 2012 Lecturer in the college of veterinary medicine, University of Kufa, Department Public Health. 2- Food contamination and diseases transmission through food and water. 3- Determine the biological values of meat and meat products . 1- Teaching meat hygiene and quality control. 2- teaching health milk and quality control of its products . 1- Identify some of the biological indicators of some poultry meat products and Eggs.